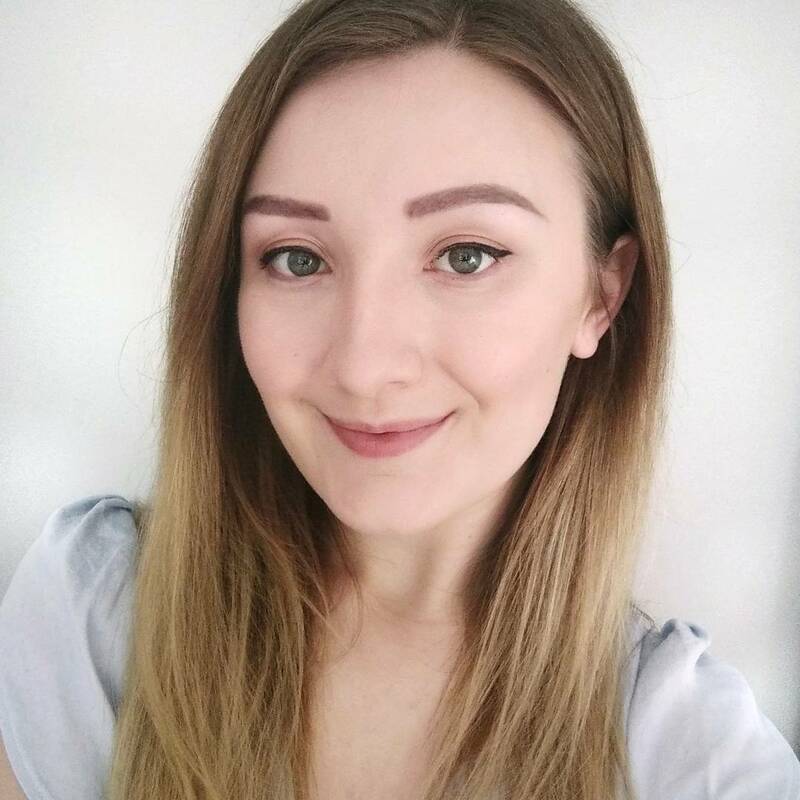 I'm a bit of a creature of habit with my skincare, having a small portfolio of products I know work well for me on a daily basis and others reserved for specific functions, like a mask I can rely on to help with dry skin flare ups. 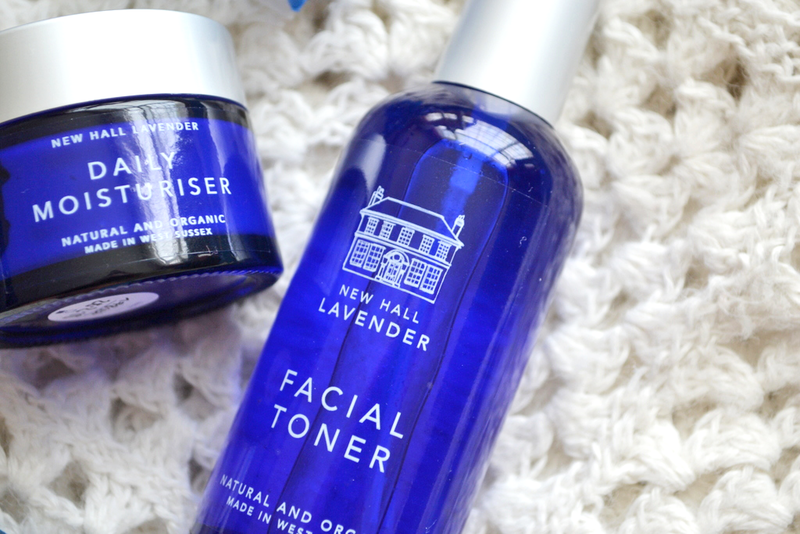 For the past couple of months I've been testing out these two skincare products from New Hall Lavender; a company based in Henfield, West Sussex, around half an hour from my Brighton home. 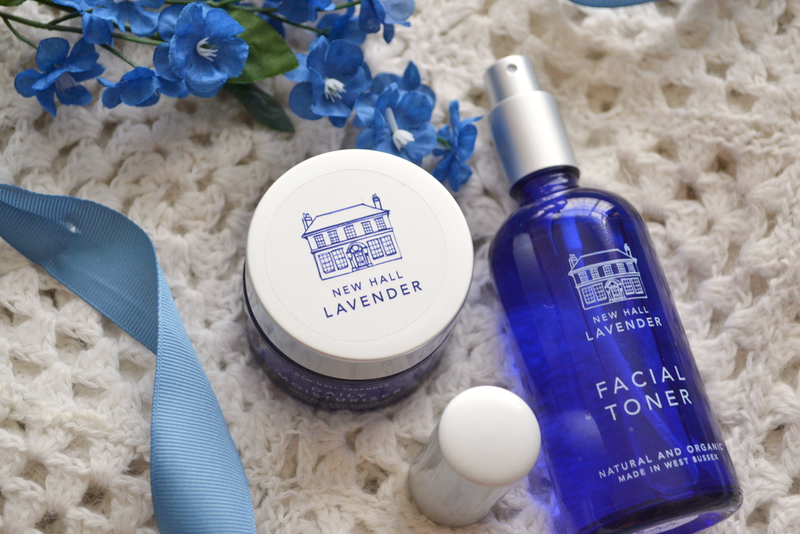 All of their products are made from lavender which is grown and distilled in their garden at New Hall, giving the botanical treats the most gorgeous scent. 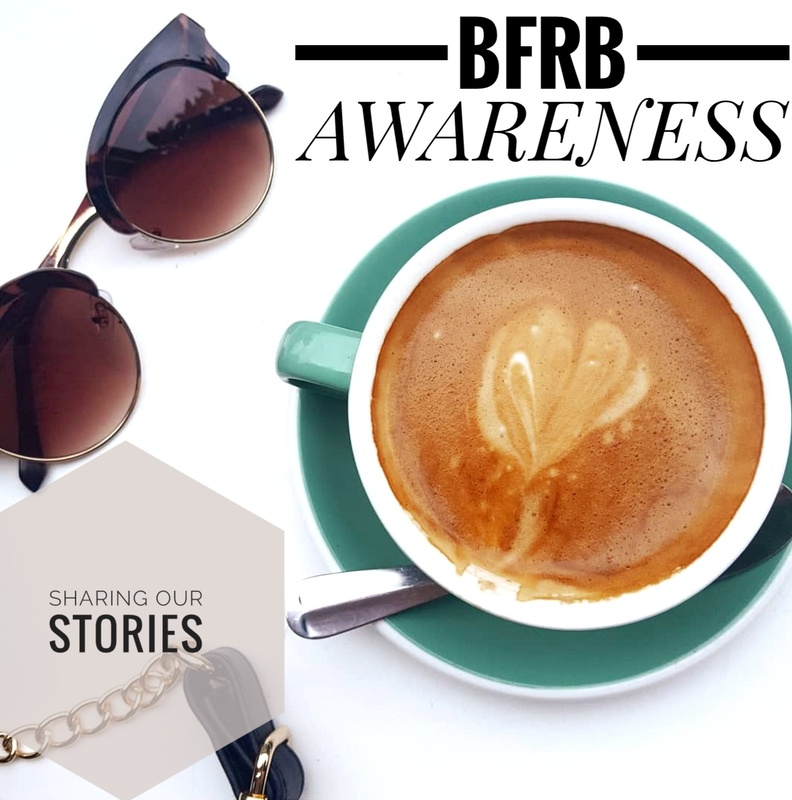 However, these products are so much more than that relaxing, lavender fragrance (which is my ultimate favourite) and the start-up business have created a really high quality range that I have fallen in love with. Lavender is known for its relaxing properties; I own countless lavender-scented candles because I know lighting them and filling my home with that fragrance will instantly ease stress and help me unwind. Although we mostly associate it with helping you get off to sleep, the plant actually has many skincare benefits that not many people are aware of. It's rich in anti-oxidants which help to detoxify your skin (also a prominent feature in anti-ageing skincare), and also helps to ease any redness due to its anti-inflammatory properties and evens out your complexion through boosting circulation. 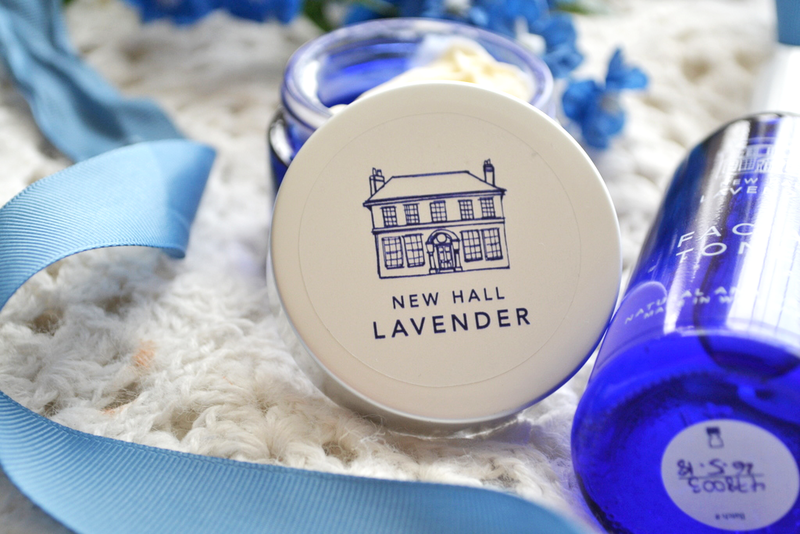 New Hall Lavender have focused on the power of this one ingredient and boy does it work well. 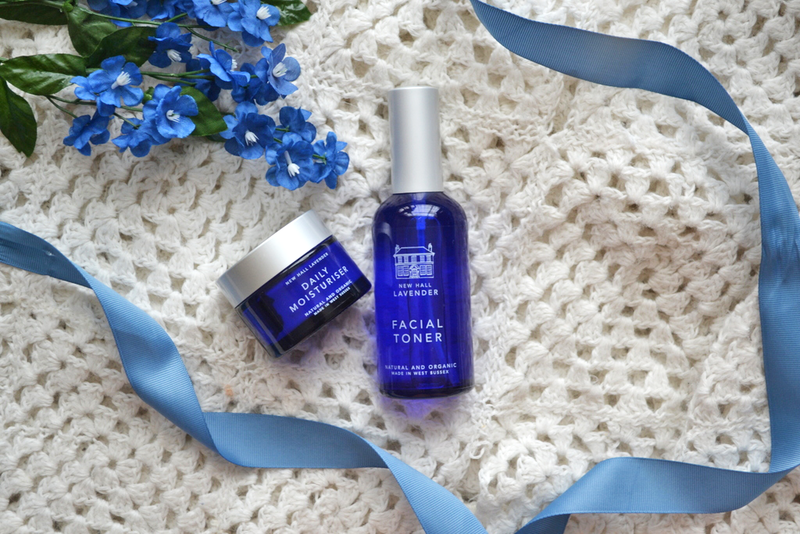 I was kindly send the daily moisturiser and facial toner to try out, although their collection of products also includes an anti-ageing serum and lip balm. The moisturiser comes packaged in a beautiful 50ml glass pot, whilst the toner is in a much larger spritz-style glass bottle. The packaging is stunning, simple and elegant; I think the glass makes it feel so much more luxurious to use. You only need the tiniest amount of the moisturiser to cover your face- a little goes a long way, and despite the small amount being used, your skin still feels completely nourished and hydrated. Although it's a quite pricey £36 for 50ml, this will last you absolutely ages! I've used it for two months and have barely made a dent in it. It also soaks in instantly- probably one of the fastest-absorbing moisturisers I've tried- and leaves no trace of residue. This makes it great to use both at night and in the morning, as you can apply your make-up straight after without having to wait around for it to absorb or worry about that slightly greasy feeling. I've been using the toner each day before I apply to moisturiser; just a few spritzes of the refreshing mist leaves your skin feeling revitalised and I've also found it has added a slight glow to my complexion. 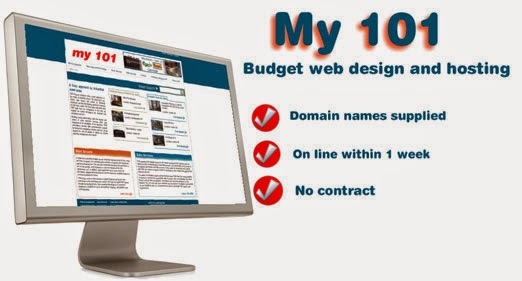 At £18, this is a far more reasonably priced product, but again it will last you a very long time. Both products are incredibly high-quality and an absolute dream to use- I've completely ditched my old moisturisers and have adopted these every day for the past two months and I'm so happy with how they have left my skin looking and feeling. 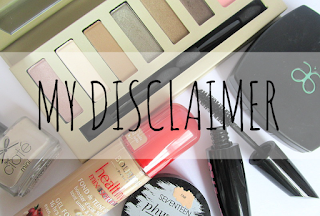 I have definitely noticed a big difference in my complexion (it is looking far more even) and I haven't experienced any dryness (I struggle to find a moisturiser that completely combats this, but it's looking like New Hall Lavender is a total winner!). It goes without saying that both of these products smell completely dreamy. Applying them in the evening leaves you feeling wonderfully relaxed and almost adds an extra element to my little evening skincare routine. 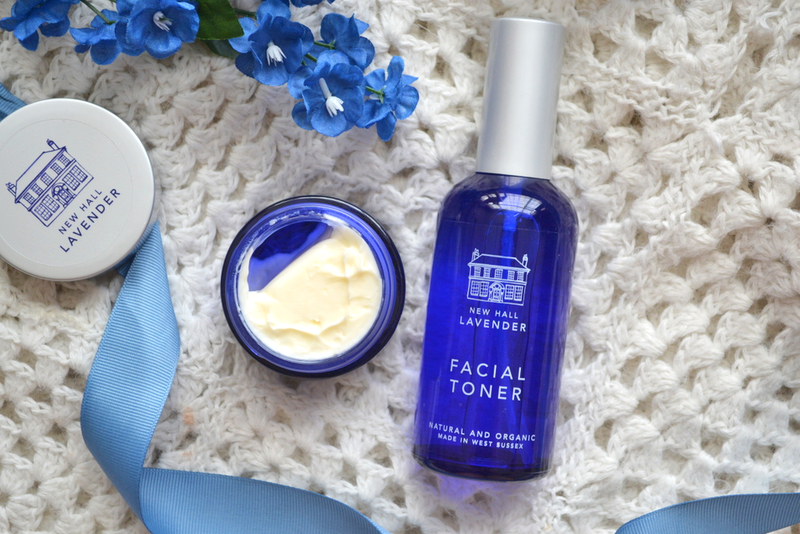 It's not just 'slap on some moisturiser', but more taking in those scents from the home-grown lavender as the products are applied which is great for unwinding. 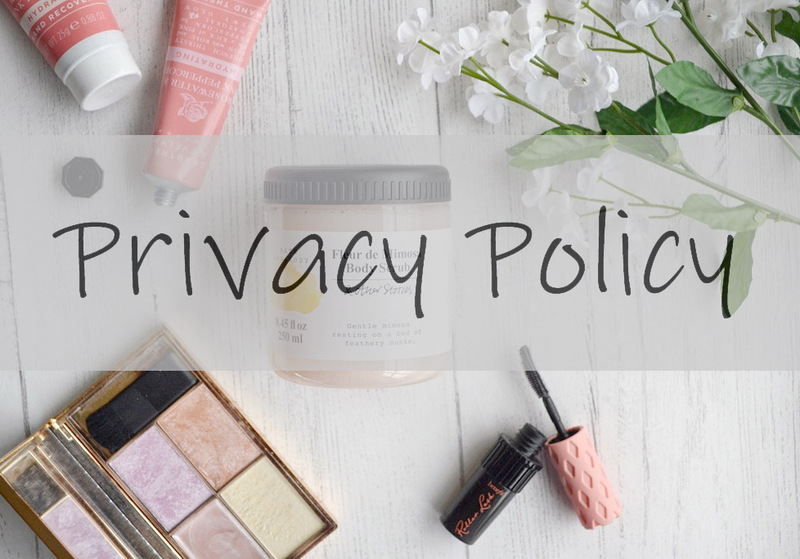 All four products are natural, organic and cruelty-free, and (a little something which made me love the company even more) New Hall Lavender donate 10% of all profits to charities that help support women who have been trafficked. 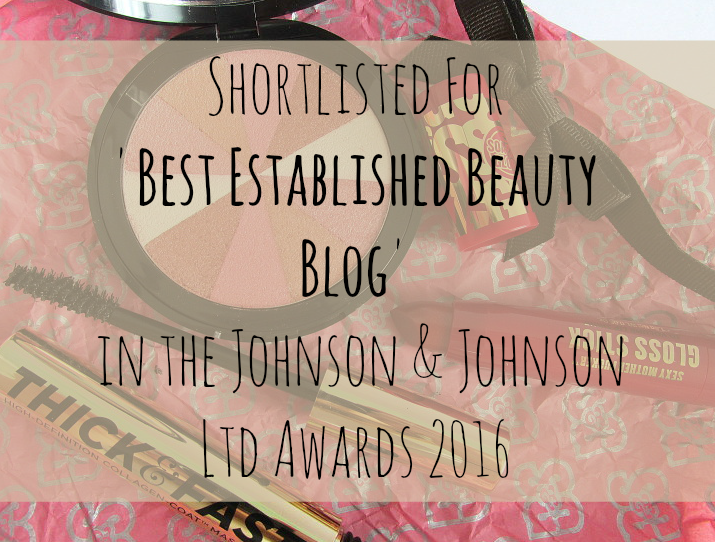 It's a wonderful local business that have created some incredible skincare products that I'm sure I'll continue using for some time! You can check out their products or find out more about New Hall Lavender here. 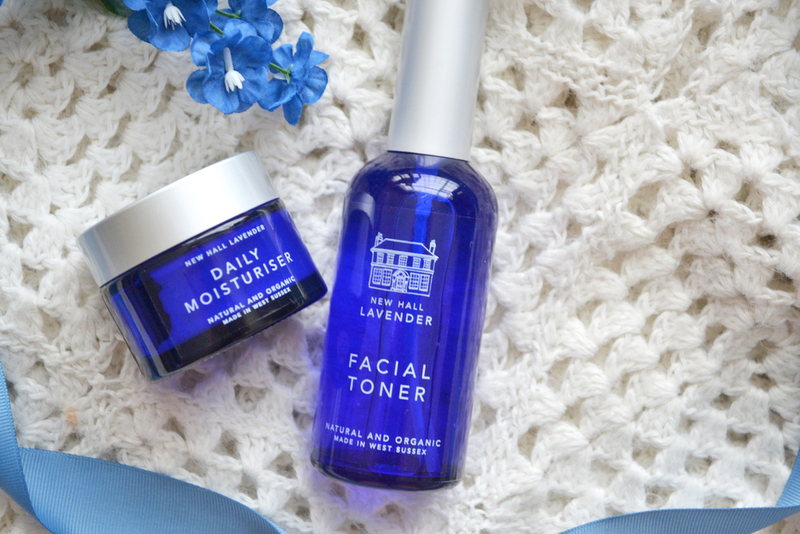 Did you know about the skin care benefits to lavender? What's your favourite skin care scent?